Middle-Atlantic's Cable Ladder Adapter for MRK/VRK/WRK Racks is a key attachment that allows you to secure a horizontal or vertical cable ladder from any direction with a few simple bolts. The MW-LA Cable Ladder Adapter is part of an award-winning series of rack options for Middle-Atlantic systems. 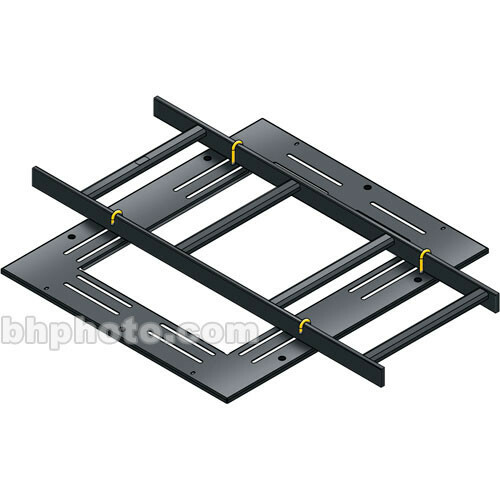 This connector accommodates 6" and 12" wide cable ladders. It is built smarter than ever before, and greatly increases the wiring flow. Middle-Atlantic makes the best in rack solutions; their accessories add expert convenience. Quickly attach your cable ladder for instant satisfaction and clutter reduction. This kit accommodates 6 and 12"W ladders and allows them to be attached from any direction to create the wiring raceways you want. Box Dimensions (LxWxH) 28.0 x 25.0 x 1.0"